Apologies for the crappy photos, I haven't been feeling so tip top today so I really wasn't in the mood for taking photos. However Im off to events tonight so changing my clothes, dressing up a bit and seeing some of the best people I know, I've met the best people through blogging. have fun! you look amazing as usual! Cute dress (: hope you have a good time tonight! So good that you've got so much wear out of that Primark jacket. What a find that was! Adorable outfit! 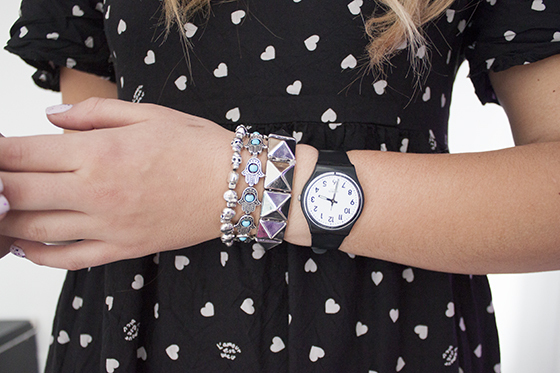 Love your watch so much! I've been looking for one like that for ages, never thought to check out Swatch! this dress is so pretty! Loving the glitter on your nails too. Feel better soon Lily! 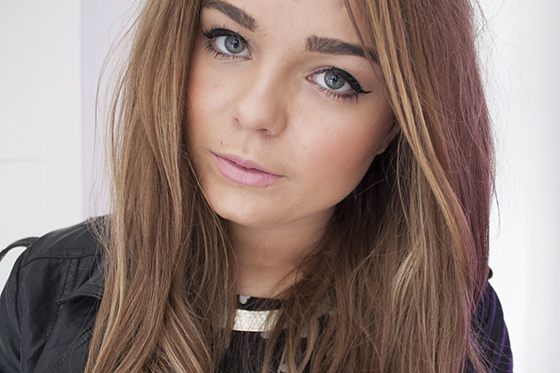 lovely outfit, I'm always so envious of your nails in all your posts! In love with the whole outfit! That dress looks amazing on you! You always have such lush nails! 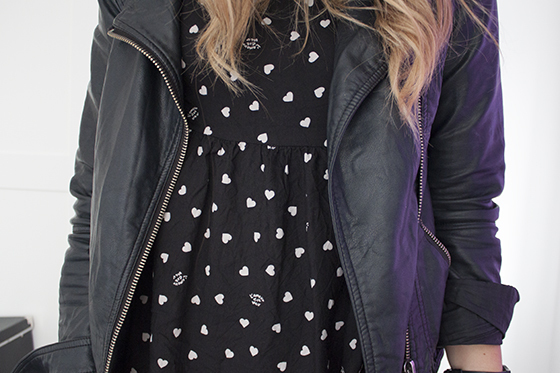 I love the cute dress / leather jacket combo! So lovely outfit! hey! podrias hacer un video de como te haces el deliniado de ojos? That jacket is liek the perfect everyday leather jacket. Love it! 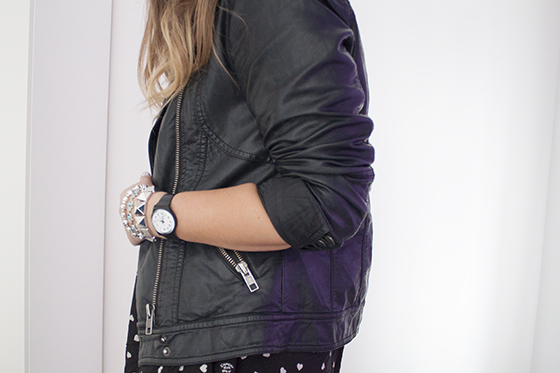 nothing i love more than a dress and biker leather jacket! 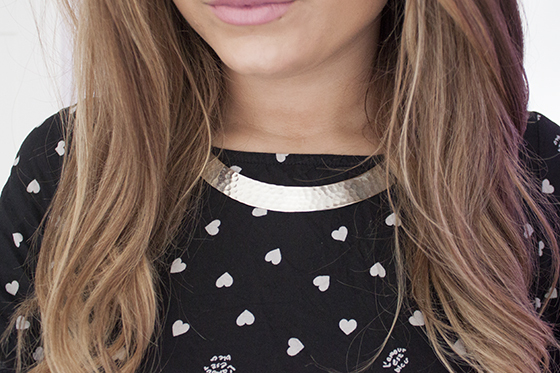 cute dress :) love the heart print! Love the dress and leather jacket combo! Very pretty!